The Mightymast Crucible 2 in 1 is a 6ft foldaway table in smart black wood finish with green cloth. Substantial metal sub frame for solid stability. Quick and easy foldaway to just 10cm deep when not in use. Full-size quality high response cushion rubbers. 18mm thick composition playing surface covered with hardwearing green wool-mix cloth. Strong netted leatherette-covered pockets with metal braces. Designed for the professional player at home. 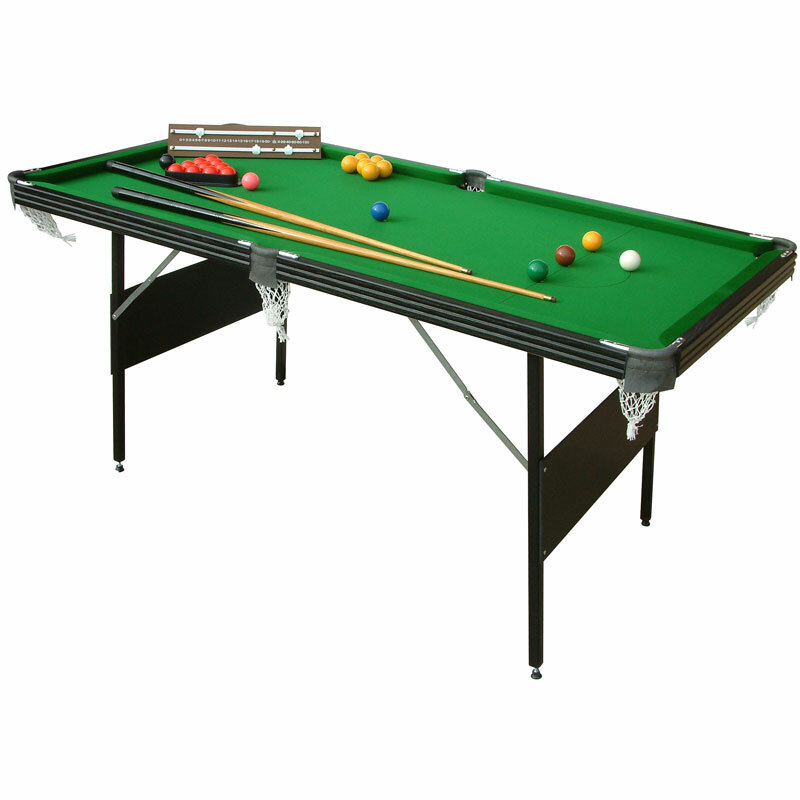 Includes a full-size set of 2" professional snooker and pool balls, 2x 57" cues, scoreboard, triangle and chalk.